Good morning EDM fans! Right now in Croatia, people from around the world are celebrating day two of Ultra Music Festival. Now if you’re anything like me, you’re wishing that there was someway that you could be there enjoying the lights, atmosphere, drinks, beautiful music, and women. Well fear not! 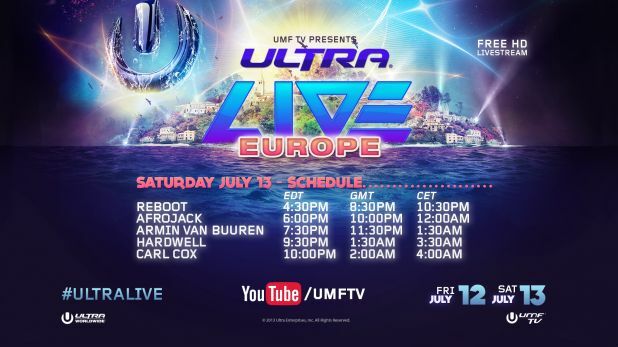 Ultra is streaming multiple artists live today through Youtube. The live stream will start today at 4:30 PM Eastern time with the live performance of Reboot and end at 10:00 PM Eastern time with Carl Cox. Be sure to tune into my site then, and live the experience that is Ultra.